Before :- N.A. Britto, J. Criminal Misc Application No. 410 of 2006. D/d. 31.1.2007. For the Applicant :- Mr. S.D. Lotlikar, Senior Advocate with Mr. Marvin D'Souza, Advocate. For the Respondent :- Mr. N.N. Sardessai, Advocate. N.A. Britto, J. (Oral) - The complainant in C.C. No. 306/OA/04/A has sought special leave to appeal against the acquittal of the accused under Section 138 of the Negotiable Instruments Act, 1881 (Act, for short). 2. Heard the learned Senior Counsel Mr. S.D. Lotlikar on behalf of the applicant/complainant and Mr. N. Sardesai, the learned Counsel on behalf of the respondent/accused. 3. The complainant had prosecuted the accused on the allegation that the accused had issued the subject cheque dated 22.5.2004 for Rs. 10,00,000/- which cheque when presented by the complainant for encashment was dishonoured with endorsement that the funds were insufficient and after the complainant issued the statutory notice claiming the payment due thereof, the same was refused by the accused. 4. The facts show that the complainant as attorney of her father had sold two plots for Rs. 10,00,000/- and advanced the amount to the husband of the accused to be invested in the business of the accused. It is stated that on the said sale deeds the consideration shown was Rs. 1.5 lakhs for each of the said two plots. However, there is no dispute that the sale took place on or about 15.11.1999 and the sale proceeds advanced to the husband of the accused to be invested in the business of the accused on that date. It was further alleged that the money was advanced after the execution of the said sale deed dated 15.11.1999 and the subject cheque was issued on 22.5.2004. The learned Magistrate, in acquitting the accused has come to the conclusion that the subject cheque was issued in respect of a time barred liability since the sale deeds were executed on 15.11.1999 and it was the case of the complainant that soon after the execution of the said sale deeds the husband of the accused had taken the amount of Rs. 10,00,000/- from the complainant and handed over the same to the accused. The learned Magistrate therefore concluded that if a cheque is issued towards repayment of a time barred debt and it was dishonoured the accused could not be convicted under Section 138 of the Act. Admittedly, the said conclusion was arrived at in the light of the explanation to Section 138 of the Act. 5. The learned Senior Counsel on behalf of the complainant submits that the amount lent by the complainant to the husband of the accused was payable on demand and when the said demand was made the accused handed over the subject cheque to the complainant. The learned Senior Counsel further submits that giving of the cheque itself would save limitation since it is a promise to pay made after the period of limitation has expired. The learned Senior Counsel further submits that the matter needs consideration also because the learned trial Court has given a finding that the plea of the accused that she had not given the cheque has been found to be a false defence. 6. On the other hand, the learned Counsel on behalf of the accused has referred to Articles 19 and 21 of the Limitation Act, 1963 and has submitted that in either case the limitation provided was of three years. Article 19 of the Limitation Act, 1963 provides a period of three years for a suit for recovery in a case of loan which is made and Article 21 also provides a period of three years for a suit in a case where money is lent under an agreement that it shall be payable on demand. Admittedly, as per the complainant herself the money was handed over to the husband of the accused to be lent to the accused on or about 15.11.1999 and being so the cheque was issued at a time when the debt itself had become time barred and therefore could not be recovered by way of a Civil Suit and therefore the accused could not be punished under Section 138 of the Act. "Considering the evidence of the complainant, the view held by the learned J.M.F.C. in acquitting the accused, could not be faulted. The learned J.M.F.C. in coming to the said conclusion had referred to the Judgment of this Court in the case of Smt. Ashwini Satish Bhat v. Shri Jeevan Divaka Lolienkar and another, 2000(1) RCR(Criminal) 829 : 2000(1) RCR(Rent) 214 : (2000(2) Civil Court Cases 115 (Bombay) : 1999(1) Goa L.T. 408), which view has again been subsequently followed by this Court in unreported Judgment dated 20.4.2006, in Criminal Revision Application No. 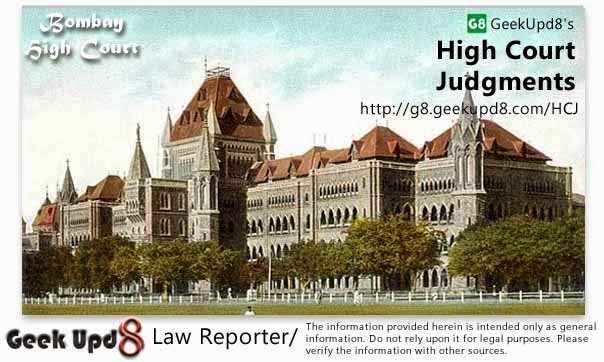 3/2006, in the case of 2006(3) RCR(Criminal) 656 : 2006(3) Civil Court Cases 730 (Bombay) : 2006(3) Criminal Court Cases 946 (Bombay), Narendra V. Kanekar v. The Bardez Taluka Co-op Housing Mortgage Society Ltd. and another. At present, there is preponderance of judicial opinion in support of the view that if only a cheque is issued in discharge of legally enforceable debt or other liability, then Section 138 of the Act is attracted but, if the cheque is issued for discharge of time barred debt and it is dishonoured, the accused cannot be convicted under Section 138 of the Act." "Mere giving a cheque, without anything more, will not revive a barred debt, because cheque has to be given, as contemplated by the explanation to Section 138 of the Act, in discharge of a legally enforceable debt." 9. The third submission is in favour of the complainant and requires no further consideration. 10. In the light of the above, this is not a fit case to grant special leave to appeal. Application rejected.